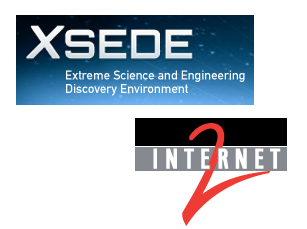 XSEDE, which is a National Science Foundation-supported project that brings together 17 supercomputers, visualization and data analysis engines, and data storage resources, has migrated and upgraded its network backbone infrastructure to the Internet2 Network. This enables XSEDE to use Internet2’s new 100 GbE optical network, platform, services and technologies. Internet2 and the XSEDEnet networking group will work together to configure a private network between the XSEDE service provider sites across the shared backbone. A majority of sites will connect to the nearest Internet2 Advanced Layer 2 Service node at 10G and share bandwidth across a 100G backbone with other participants. Initially, Indiana University and Purdue University will have 100G connections. "This is an extremely important milestone that advances the strategic alignment between the high performance computing and Internet2 communities," said Indiana University President Michael A. McRobbie. "Having the massive computational capabilities of XSEDE coupled directly to the most advanced network capabilities with the broadest reach among the U.S. and global research communities is of critical importance to the success of XSEDE." IBM announced plans to invest $1 billion in research and development of new Flash solutions for servers, storage systems and middleware. Plans include opening a number of Centers of Competency around the globe to demonstrate to clients the projected performance gains that can be achieved with IBM Flash solutions. The company said flash technology is proving to be transformative in addressing Big Data. IBM also announced the availability of the IBM FlashSystem line of all-Flash storage appliances, which are based on technology acquired from Texas Memory Systems. The company said its FlashSystem 820 system, which is the size of a pizza box, is 20 times faster than spinning hard drives, and can store up to 24 terabytes of data. 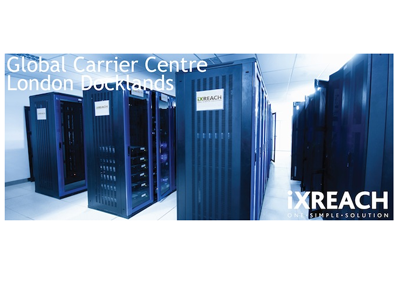 IX Reach, which operates an MPLS network reaching over 75 data centers in 30 major cities across Europe and North America, has opend its Global Carrier Centre in TelecityGroup’s Harbour Exchange (HEX) facility in the heart of the London Docklands. Telecity's Docklands facility boasts over 150 global and local carriers, making it one of the most carrier dense colocation facilities in London. Tenants of the Global Carrier Centre will have low-latency Metro access to over 20 London data centres, as well as IX Reach’s full range of products and services including: national and international Point-to-Point and Multipoint connectivity and access to major European and US Internet Exchanges, such as: AMS-IX, DE-CIX, Equinix, LINX and Netnod. MetroPCS Communications, the fifth-largest facilities-based wireless service provider in the U.S., is rolling out Cisco®Carrier-Grade IPv6 (CGv6) solution. MetroPCS is also using Cisco to perform critical system integration by leading the design, testing and production enablement of IPv6 in a multivendor mobile Internet network. 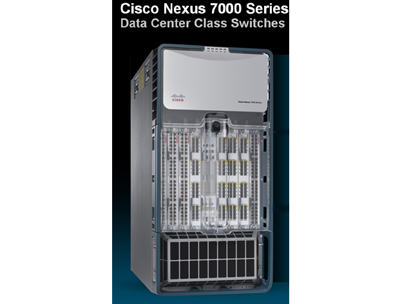 The installation includes the Cisco ASR 5000 Series, Cisco Carrier Routing System, Cisco ASR 9000 Series Aggregation Service Routers in the core and IP aggregation, and the Cisco Nexus 7000 Series Switches. Financial terms were not disclosed. "IPv6 is a foundational element for 3G and 4G and next-generation mobile Internet networking. The actions we are taking, thanks in part to Cisco, position MetroPCS to support increased service, application and end-user demands. We share a common vision with Cisco when it comes to delivering high-quality, advanced mobile Internet services," stated Ed Chao, senior vice president of corporate engineering and network operations, MetroPCS. Cisco and Microsoft are collaborating on data center solutions that combine Microsoft's Cloud OS with the Cisco Unified Data Center architecture. The Cisco Unified Data Center technology and Microsoft Fast Track 3.0 architecture aim to reduce the complexity of management. Specifically, data center mangers are able to virtualize certain aspects of their data center networks by using the Cisco Nexus 1000V Series switch and Windows Server 2012 Hyper-V Extensible Switch and System Center Virtual Machine Manager 2012 SP1. User are able to provision, configure, orchestrate and monitor physical and virtual infrastructures and Windows Server and application software. The companies said they intend to roll out targeted channel initiatives in select countries to enable alignment in selling Microsoft Fast Track 3.0 architecture solutions. Telecom New Zealand announced plans to launch its first LTE service in in Auckland by October. The carrier said it intends to extend 4G LTE coverage to Wellington and Christchurch by Christmas, and expects to have 4G LTE live on close to half of its nationwide Smartphone Network during 2014. Telecom also announced today that it has selected Huawei to build its network of 4G-capable mobile sites – known as the eUTRAN, Cisco to provide the Enhanced Packet Core (EPC), and Ericsson to build the new HSS (Home Subscriber Service) and the replacement HLR (Home Location Register). "Huawei’s selection was based on two main factors. The first is that they have extensive experience, having built 73 LTE networks in 42 countries. The second is that they are truly pushing the boundaries of LTE technology. Over the past 3 months we have been trialling Huawei’s 4G LTE technology in Auckland and Rotorua. Our testing has encompassed some very exciting new developments like ‘carrier aggregation’. Carrier aggregation allows us to use two different spectrums simultaneously, and in our trials it produced maximum peak speeds of up to 250 Mbps," stated Telecom's Chief Technology Officer, David Havercroft. Hezi Lapid has resigned as President and Chief Executive Officer of Alvarion. In addition, Robin Hacke is resigning from her position as a member of the company's board of directors, effective immediately. "The company intends to continue implementing its turnaround plan, which during the past year has been realized through the pending sale of its carrier licensed business to Telrad Networks, the sale of certain patents, and the refocus on being a pure play in high growth vertical and Wi-Fi markets," said Amnon Yacoby, Chairman of the Board.